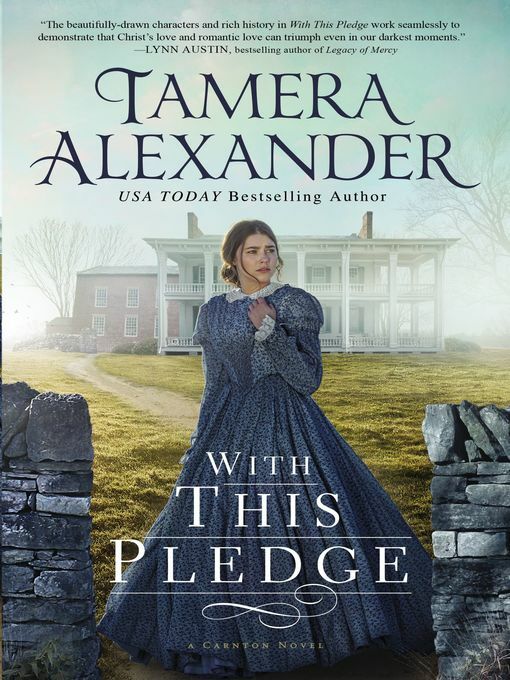 History takes on vivid life in the stunning first full-length installment of USA TODAY bestselling Tamera Alexander's new series, The Carnton Novels. Elizabeth "Lizzie" Clouston's quietly held principles oppose those of the Southern Cause—but when forty thousand soldiers converge on the fields of Franklin, Tennessee, the war demands an answer. The Carnton home where she is governess is converted into a Confederate field hospital, and Lizzie is called upon to assist the military doctor with surgeries that determine life or death. Faced with the unimaginable, she must summon fortitude, even as she fears for the life of Towny, her fiancé and lifelong friend. As a young soldier lies dying in Lizzie's arms, she vows to relay his final words to his mother, but knows little more than the boy's first name. That same night, decorated Mississippi sharpshooter Captain Roland Ward Jones extracts a different promise from Lizzie: that she intervene should the surgeon decide to amputate his leg. Lizzie is nothing if not a woman of her word, earning the soldiers' respect as she tends to the wounded within Carnton's walls. None is more admiring than Captain Jones, who doesn't realize she is pledged to another. But as Lizzie's heart softens toward the Confederate captain, she discovers that his moral ground is at odds with her own. Now torn between love, principles, and promises made, she struggles to be true to her heart while standing for what she knows is right—no matter the cost.